Top Floor, rarely available one-bedroom apartment home in SALTSPRING. 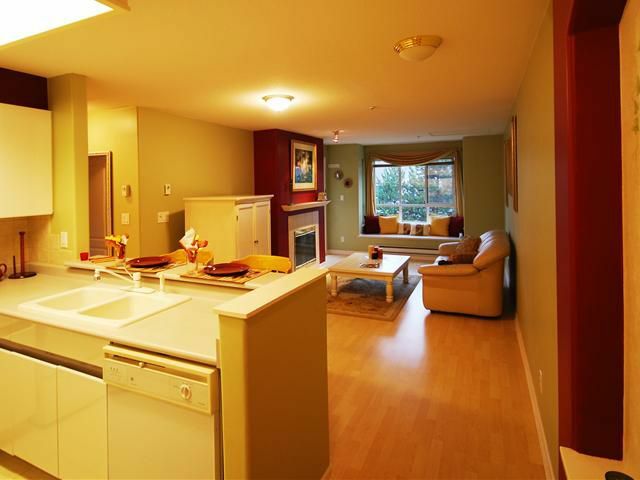 Built by award winning "Adera" in a magnificent location close to the skytrain, bus loop, schools, parks and shopping. This home is impeccably maintained with an open floor plan featuring a large living room with gas fireplace and window seats. Bedroom with walk-in closet and large window for natural light. Generously sized balcony faces a very quiet courtyard. Pet friendly building (2 dogs or 2 cats); all-owner occupied; 1 parking and 1 locker. Why rent when you can own!